I’ve always been a little iffy on the idea of January. Where I live, it’s especially cold in January and I really just miss the sunshine. 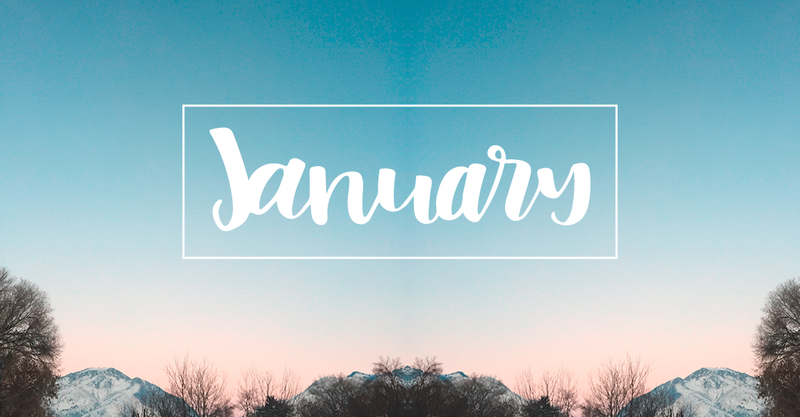 But I’m a huge fan of fresh starts, so January fits that bill quite well. January seemed like a great time to transition into this blog. It’s a fresh start and a bit of a brave leap for me. That’s what new year’s resolutions are all about, right? Creating, in general, is often a brave leap. The idea of taking something you’ve thought of and turning it into something tangible and worthwhile is a beautiful and terrifying thing. But I love it. So, I’m planning on spending my 2017 doing a whole lot more of just that – creating brave things. To start off, I created my first big project on my new Cricut – and I’m really happy with how it turned out! 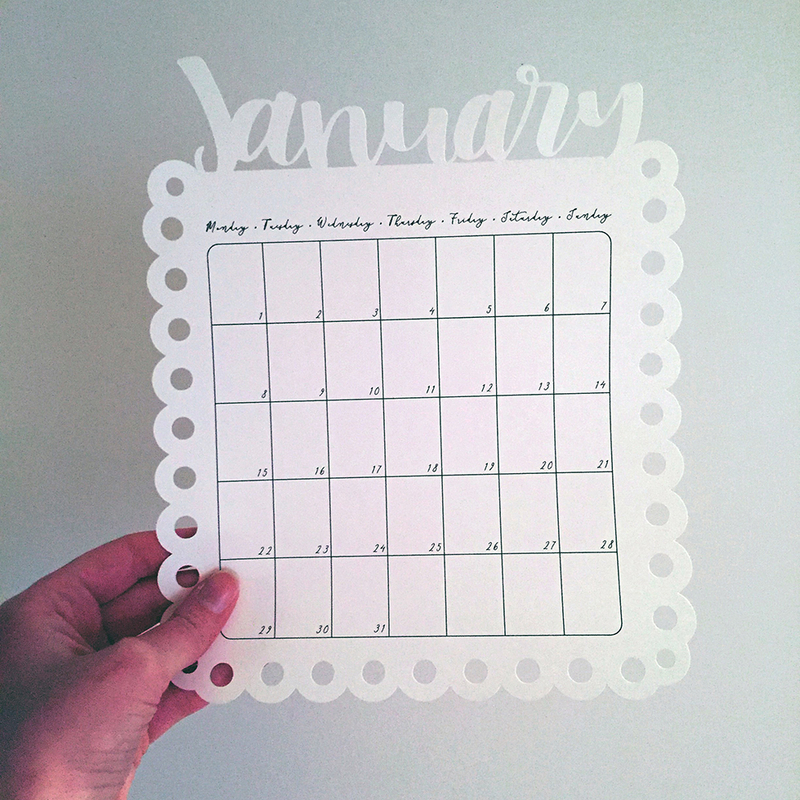 I created a calendar with a fun, handlettered element to help us all start the year off right. I left it pretty blank so you can use it for meal planning, event scheduling, daily mini-doodles, or whatever you want. If you’re like me – it’ll probably turn into a messy to-do list within the first week. *It should be formatted correctly to line it up at the very top of your canvas.